The Master of Arts in Teaching (MAT) program is one of Mississippi’s four approved Alternate Route Programs that lead to teacher certification. If you already have a bachelor's degree from an accredited college/university but did not complete a teacher education program that included student teaching, you can still be a teacher in Mississippi. 1. Decide what subject and age level you want to teach. This decision will help you choose which alternate route program will work for you. SAT EQUIVALENT SCORES TO ACT – January 2017 – All candidates must meet the ACT equivalent at the time the assessment was taken. Praxis II: Subject Area test in the area you want to teach. The program offers specific subject areas. 4. Once you have successfully completed your testing you must enroll in the MAT program and complete the coursework required. You will then be ready for your initial alternate license and internship. 5. The internship is your first year of teaching. Mentoring will be provided during the internship. You will be paid based on your bachelor’s degree status as a first year teacher. The internship period will be provisional based upon successful completion of the school year. 6. Upon completion of the internship, you are ready to apply for your five-year standard teaching license. Note: There is no alternate route for Elementary K-3. You must complete an approved program in Elementary Education K-3 to earn that license. 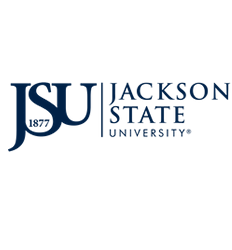 JSU Campus Life – Course Schedule Booklets, Catalogs, Transcript Request, and etc..
MS Department of Education Code of Ethic and Conduct Brochure or visit the Website.